Dr. Robert Thein has been practicing cosmetic & implant dentistry for over 20 years. Patients love Dr. Thein for his gentle dental care and understanding their individual needs, while maintaining excellent technical quality. 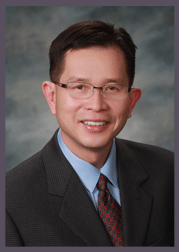 Dr. Thein received his dental degree from Boston University School of Dentistry. He received post-graduate training in cosmetic dentistry and full mouth reconstruction from the Esthetic Professional Dental Education Institute under Dr. Bruce Crispin, Professor Emeritus of the UCLA School of Dentistry. He received advanced occlusion training from the Dawson Center for Advanced Dental Education in St. Petersburg, Florida. In addition to cosmetic dentistry training, Dr. Thein received advanced dental implant surgical and prosthetic training from Misch Implant Institute at University of Pittsburgh School of Dentistry. Fewer than one-half of one percent of dentists have achieved either of the credentials that Dr. Thein has achieved in implantology. He is a diplomate of the American Board of Oral Implantology/Implant Dentistry and a diplomate of the International chapter as well. Dental implants, cosmetic dentistry, and dental anxiety are areas of clinical expertise for Dr. Thein. He loves transforming smiles, providing complex rehabilitation, and helping patients overcome dental fear. His gentle manner has helped many people overcome their dental anxiety. Additionally, patients with dental fears have benefited from the oral sedation or deep intravenous sedation that Dr. Thein offers. 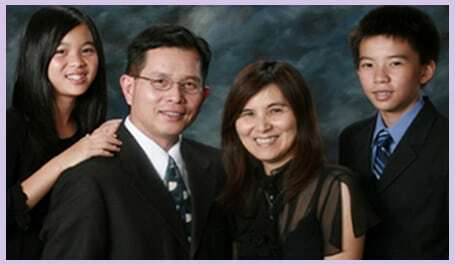 Dr. Thein is married to Dr. Lorna Kong, a pediatrician at Arcadia Methodist Hospital. They reside in La Canada with their two children. Dr. Thein is devoted to supporting the community when he has the free time. Dr. Thein was proud to offer his expertise as a Dentist to the children of the Kids Community Clinic in Burbank.